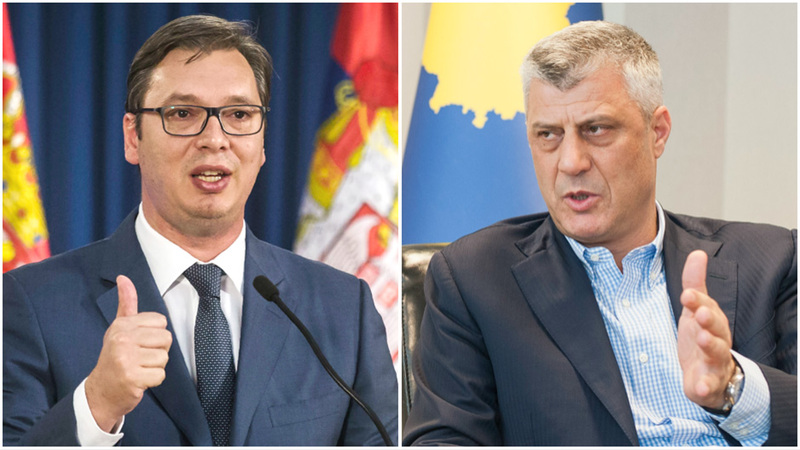 Opposition parties in Kosovo are against the idea proposed by the country’s president, Hashim Thaci for border changes with Serbia. The opposition’s reactions were provoked by the fact that the Kosovar president has now openly admitted that the final agreement with the neighbouring country will also include a small border correction. “If a small border correction is the price to pay for a final peace agreement, then this needs to be accepted. Borders need to be changed in order for Serbia to recognize Kosovo”, Thaci declared in a press conference. The president also said that the tax on Serbian imports needs to be suspended in order for dialogue with Serbia to resume. Head of LDK’s parliamentary group, Avdullah Hoti declared that the process of dialogue should continue. “We need to be clear with the citizens of Kosovo and our allies regarding our position in the dialogue with Serbia. First of all, Kosovo needs to engage in dialogue, because there’s no other alternative. Hate language should not be part of our political discourse. Secondly, Kosovo will not be partitioned and the state will not lose its function as a result of some domestic arrangements made for ethnic reasons”, Hoti said. Hoti added that citizens of Kosovo want transparency regarding dialogue with Serbia. Self Determination leader, Albin Kurti declared that the ideas for the partition of Kosovo lead to a new war. Kurti has announced an Albanian Spring, inviting people to attend massive rallies against deals to change Kosovo’s borders. There have been lots of rumours recently about a final agreement being reached between Kosovo and Serbia. Kosovo’s president Thaci has announced that this agreement does not rule out the correction of borders with Serbia.